When you start to count the pieces of paper a supply chain can generate the numbers soon become enormous. 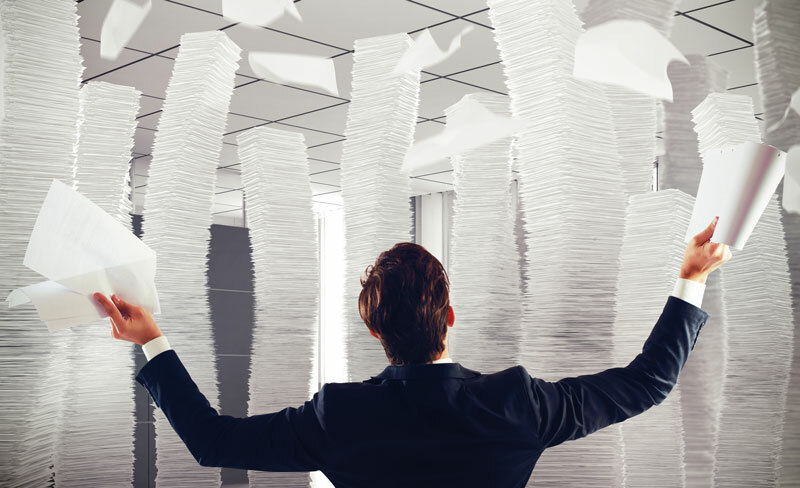 Invoices, credit notes, statements, payment advice and so on, not only creates a paperwork mountain but also places a heavy administrative burden on you in making sure all that paper gets processed and allocated. e-foods systems are paperless and consolidated. Orders are consolidated with a single order across all suppliers (our smart systems automatically break up the order and send each element to the relevant supplier). Invoices are consolidated to suit your needs – daily, weekly, monthly resulting in a huge reduction in paper work – read more about the 20,000 fewer invoices Shearings are now processing. Credit notes are eliminated as you control the invoice. The system only generates an invoice when you accept the delivery and all items are correct. Disputed items are automatically flagged to the supplier and the system doesn’t generate and invoice until the issue is resolved – no more chasing suppliers for credit notes at month end. With one consolidated payment to e-foods, e-foods splits the payment and pays your suppliers automatically, saving huge amounts of time normally taken to process a supplier payment run. The traditional model of using multiple suppliers means each location pays the local price. Managing different price across multiple sites creates a massive challenge to ensure spend and margins stay on budget.